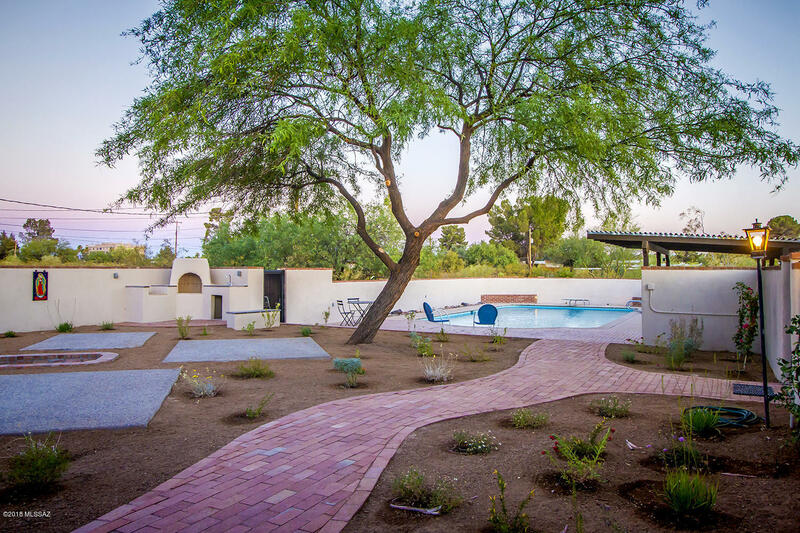 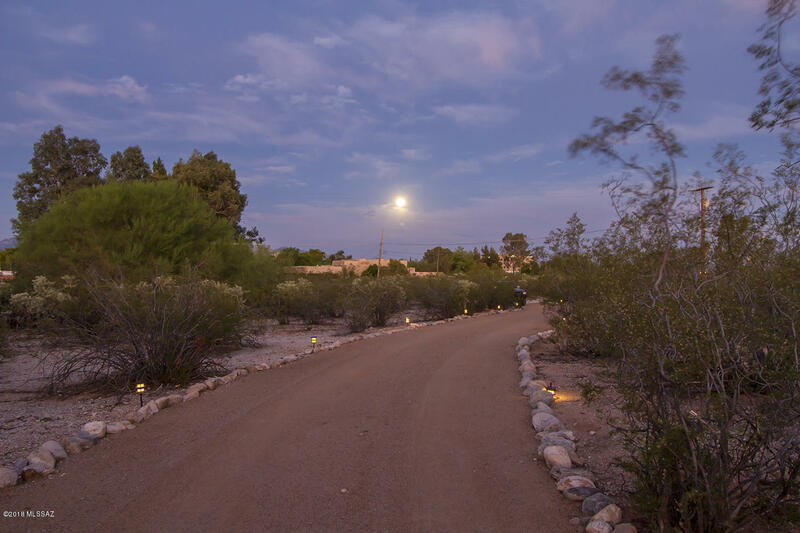 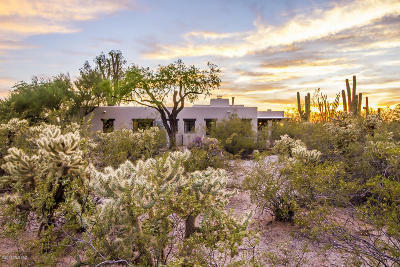 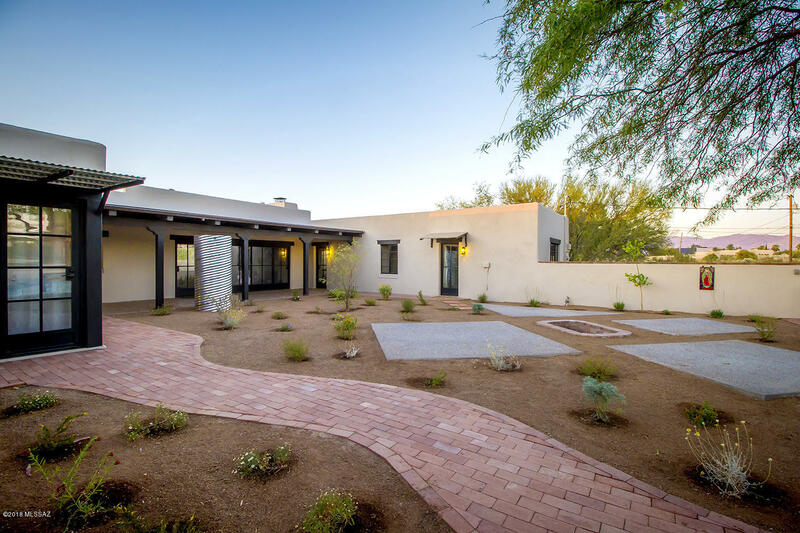 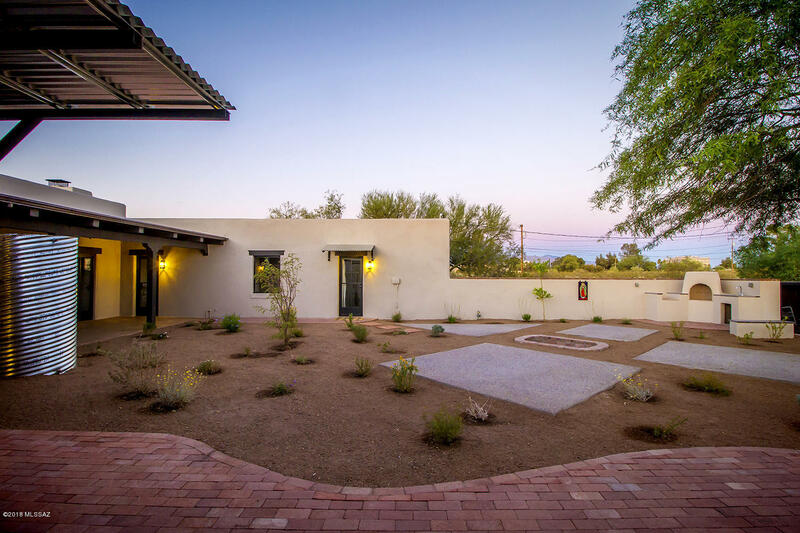 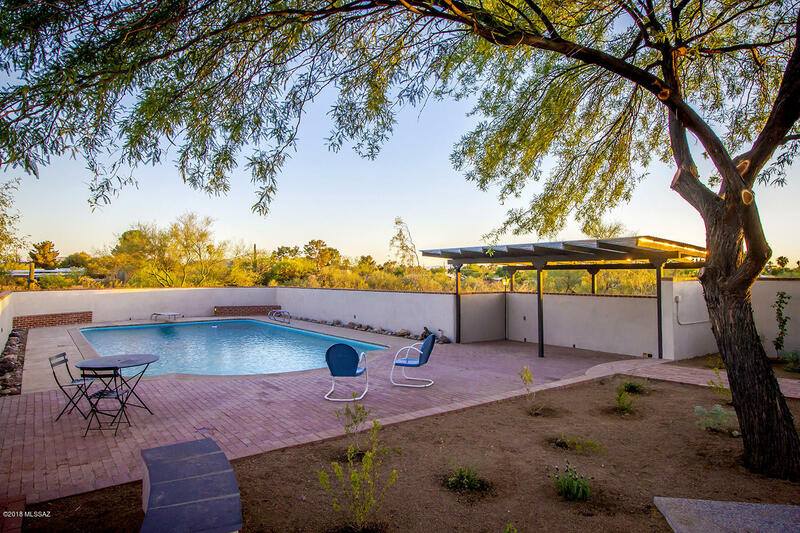 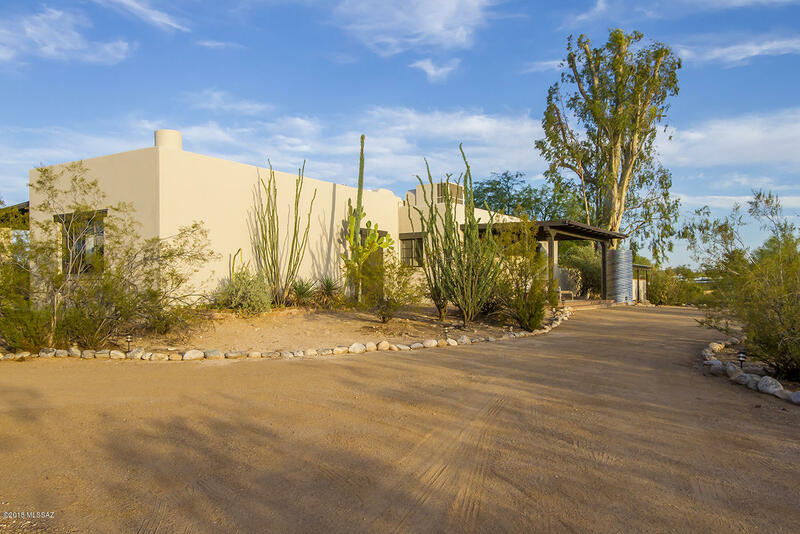 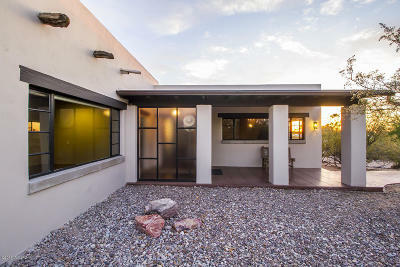 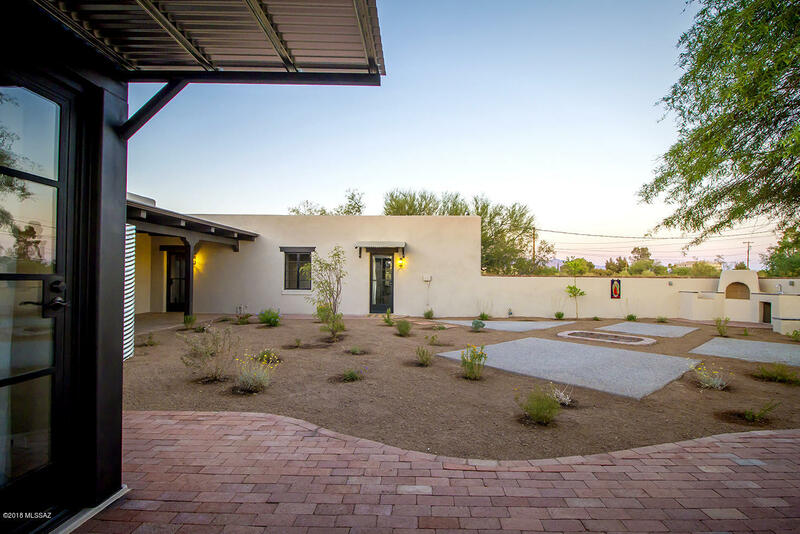 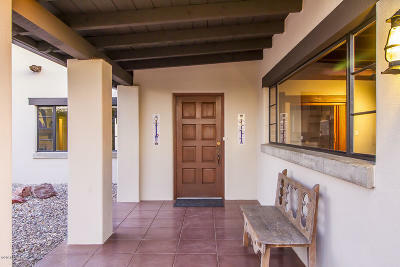 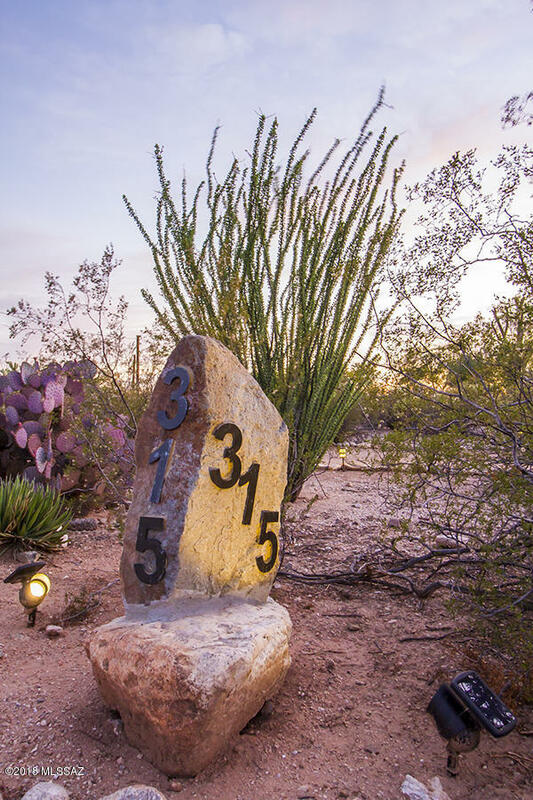 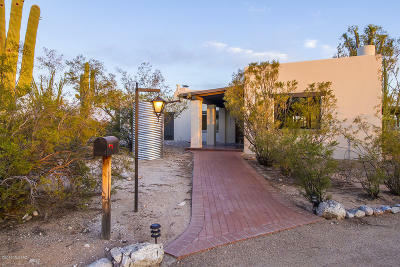 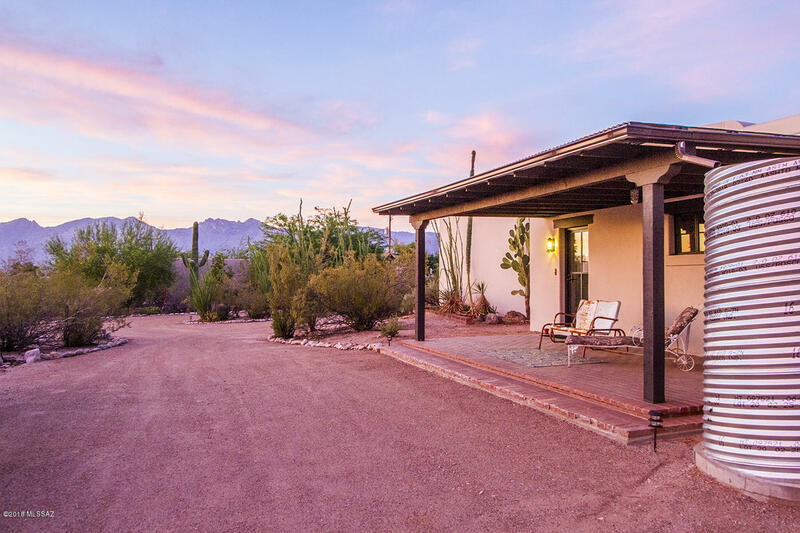 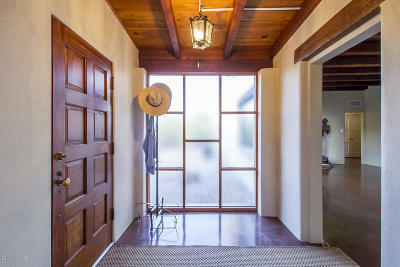 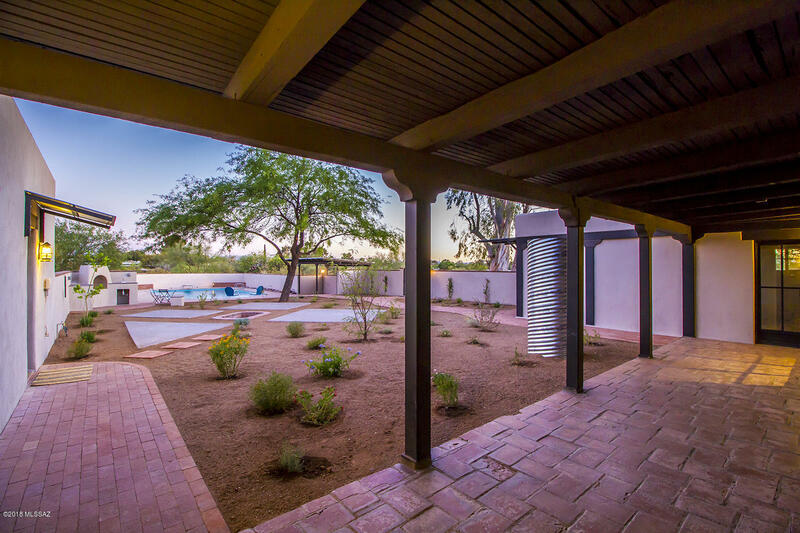 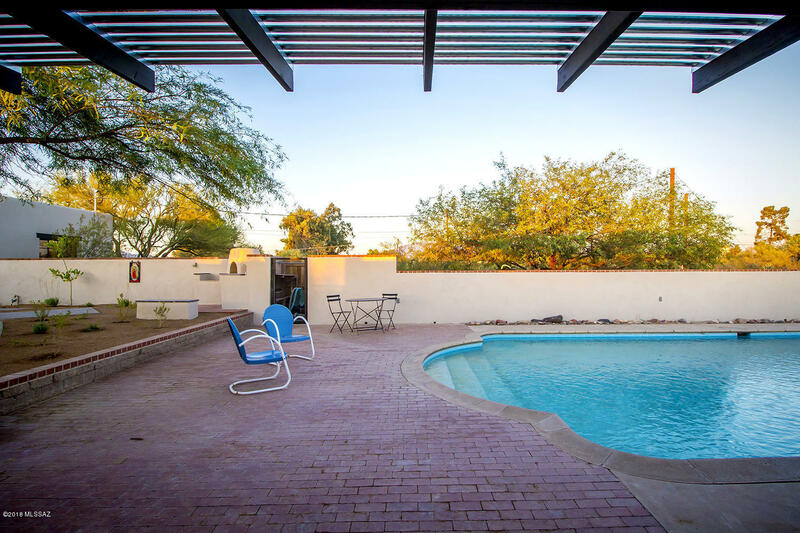 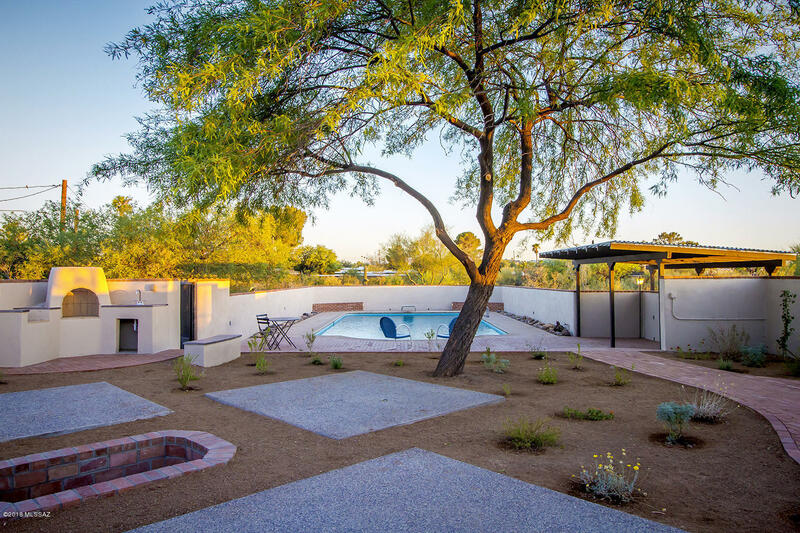 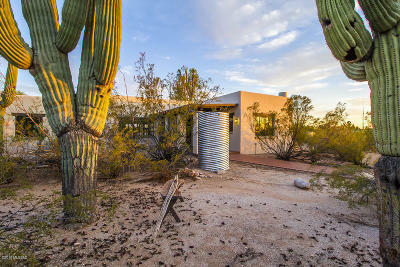 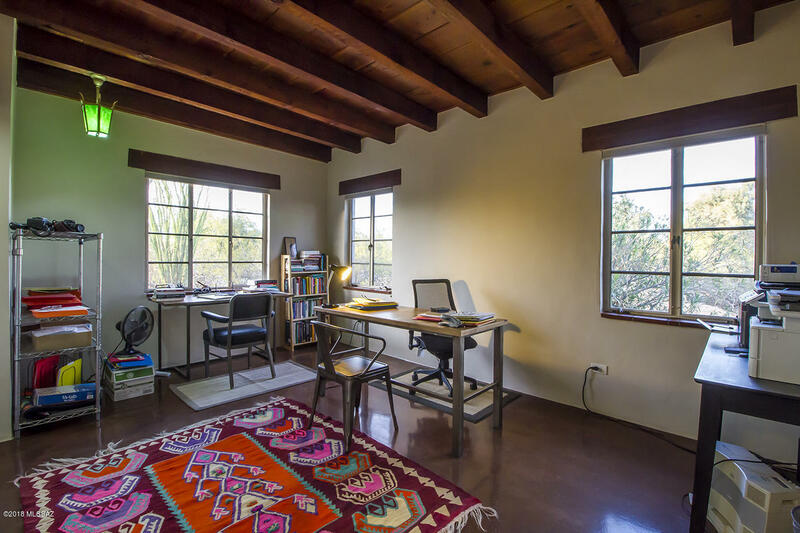 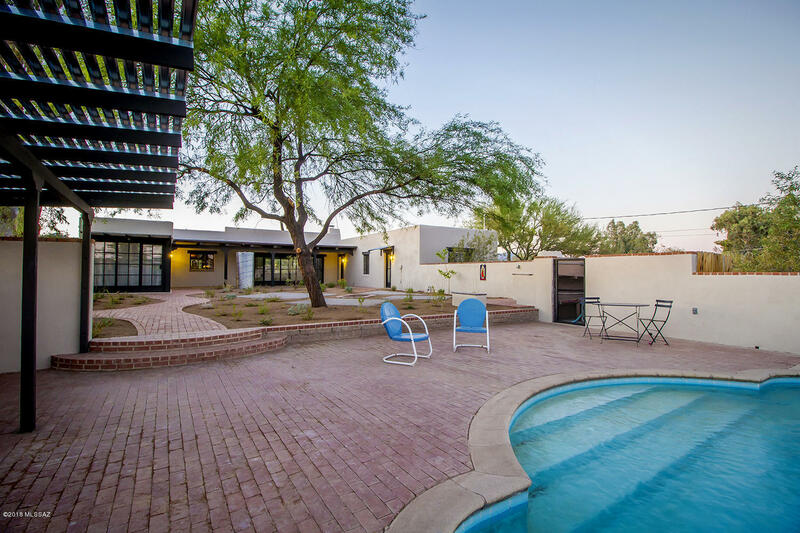 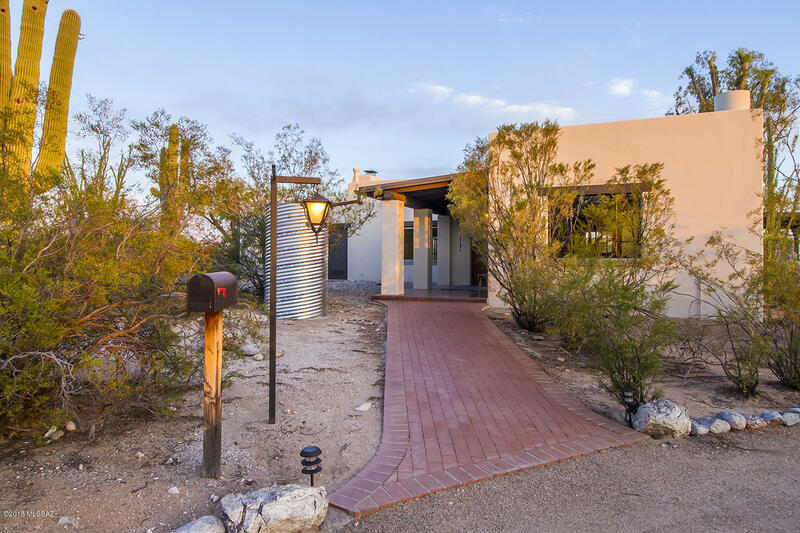 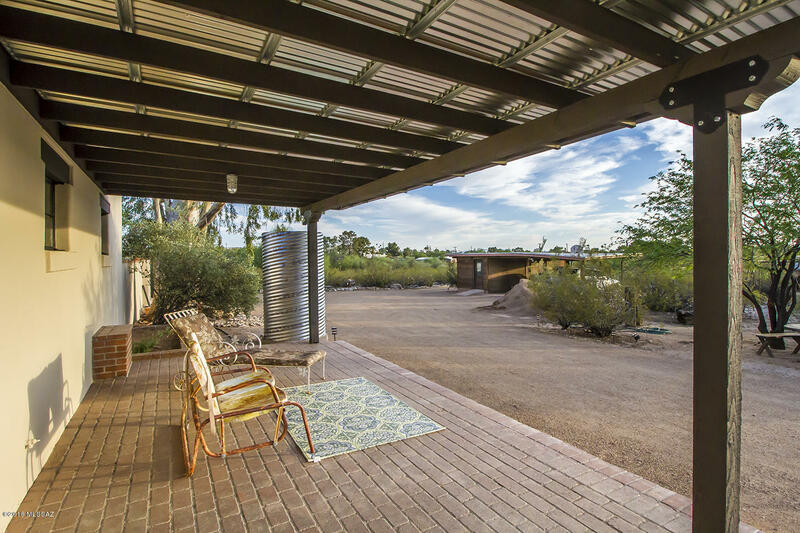 This is one of those very rare Tucson Homes that sits on beautiful, lush desert acreage in the middle of town. Tranquility, stunning views, wildlife, peaceful outdoor living surrounds every moment of living. 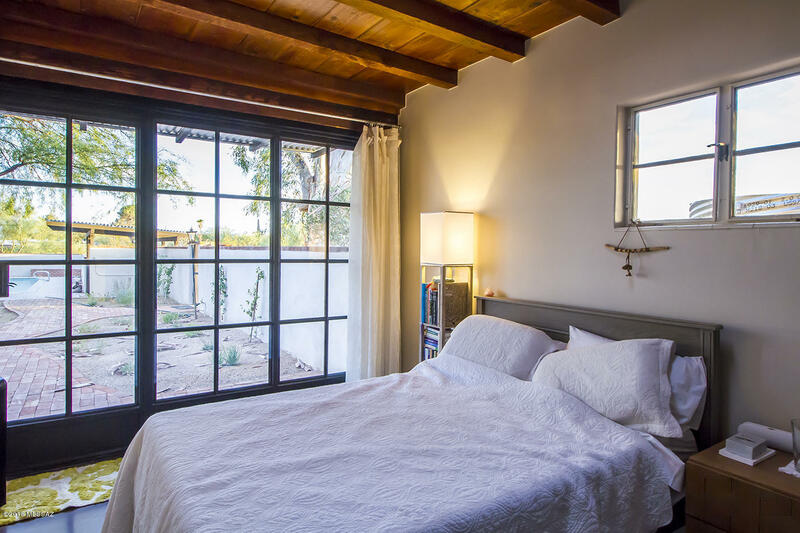 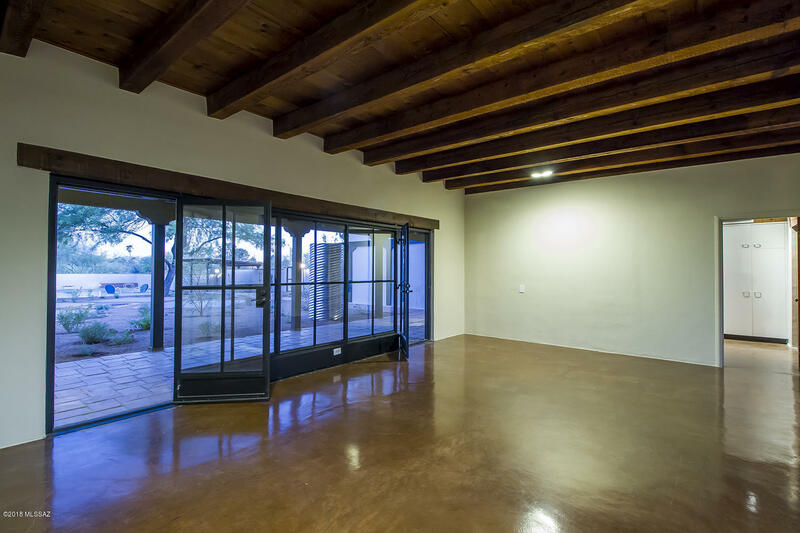 This Spanish Hacienda has a wonderful floorpan with deep porches that opens to the courtyard and pool with custom, metal doors and floor to ceiling windows. 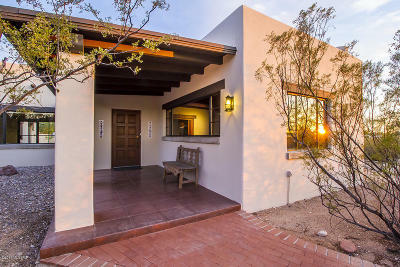 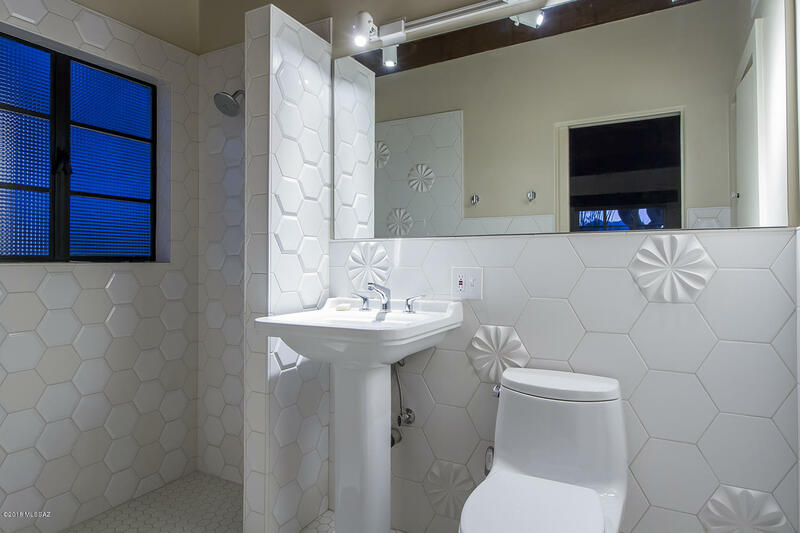 From every window is a private, stunning view of desert, mountains, sunsets and sunrises. 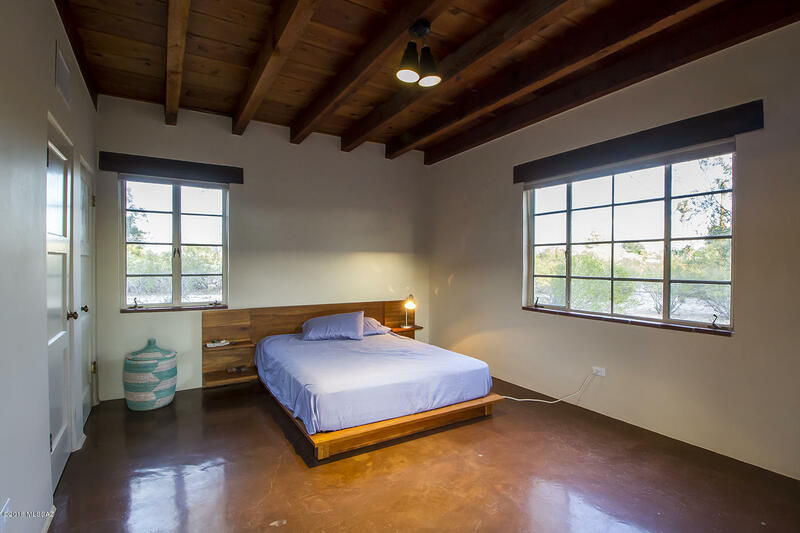 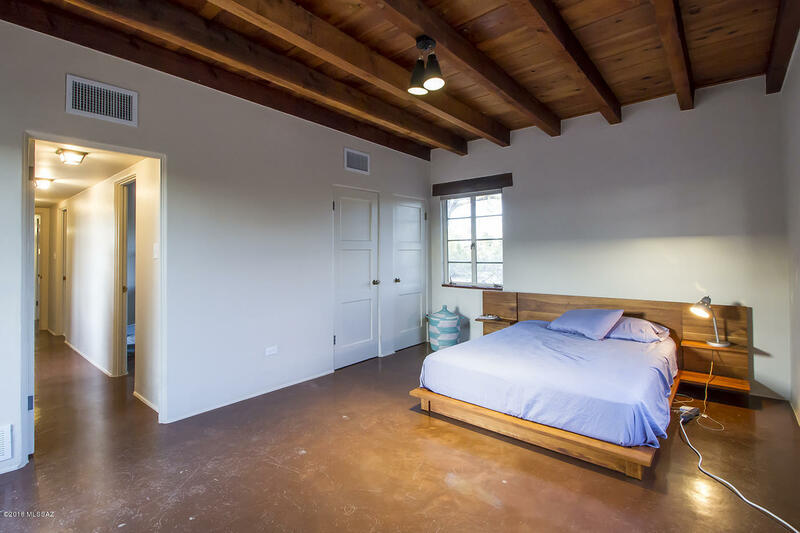 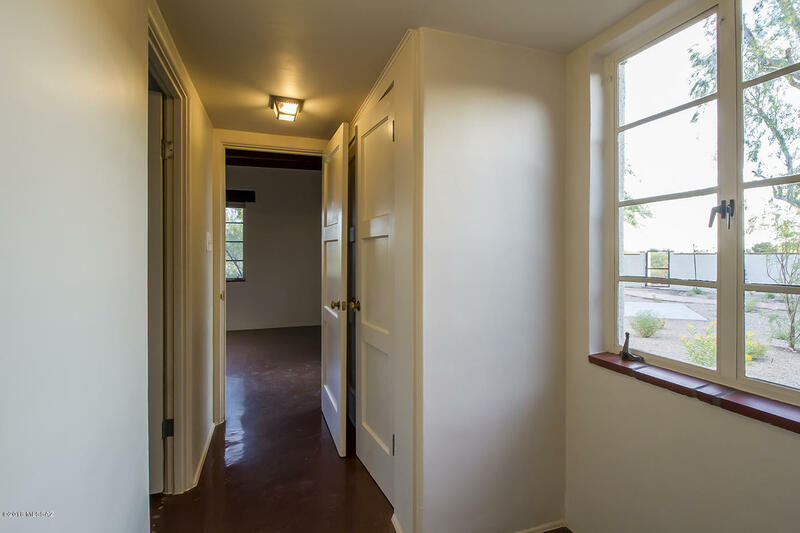 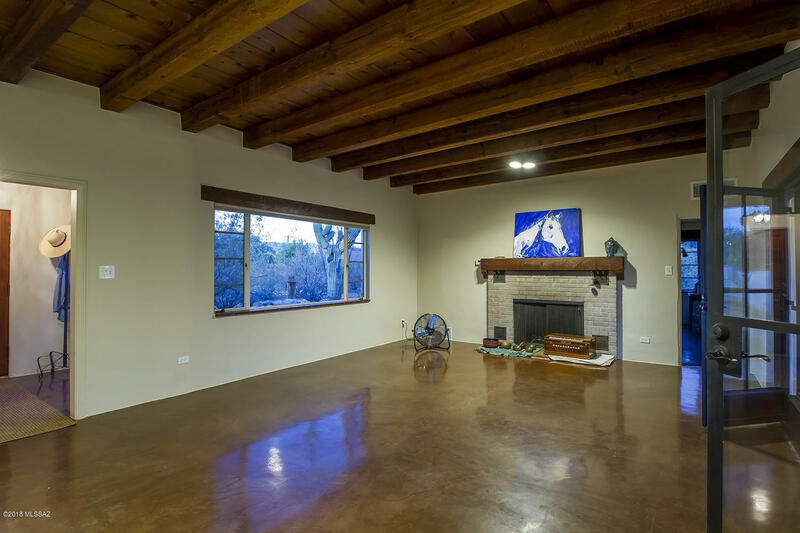 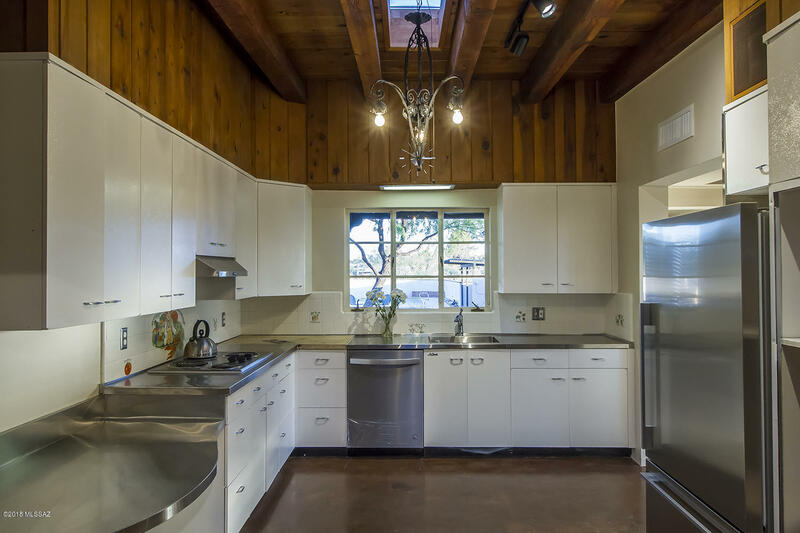 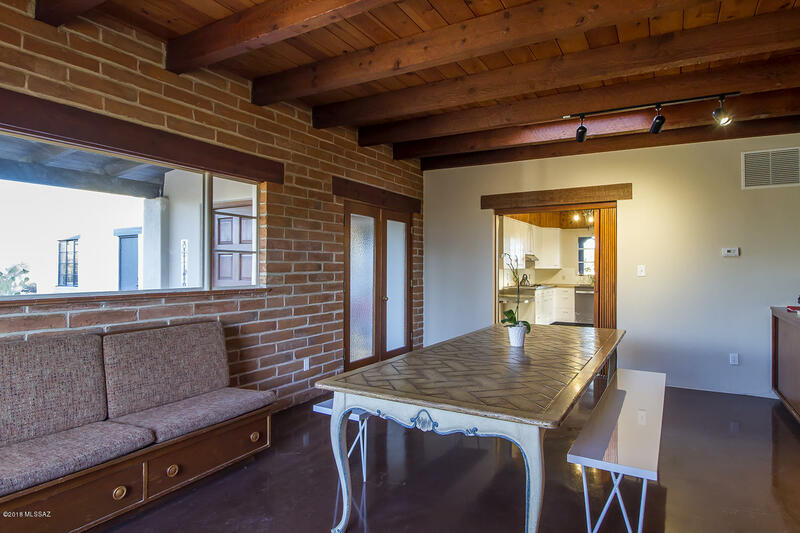 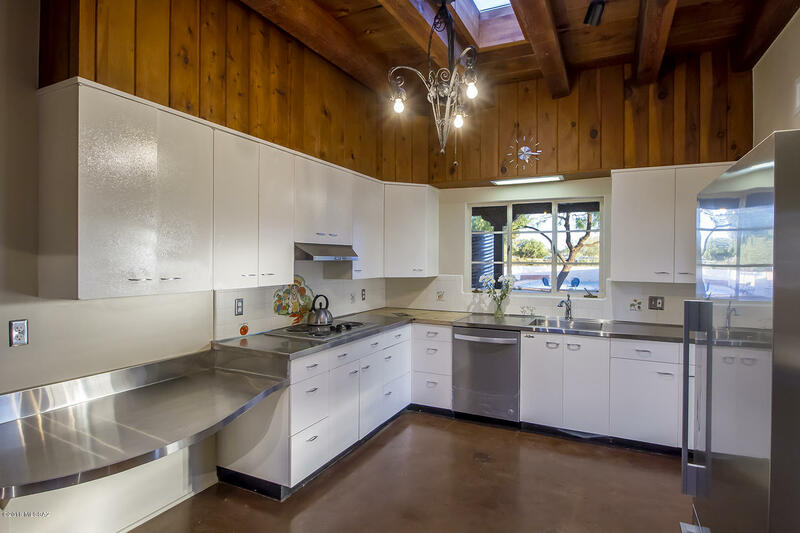 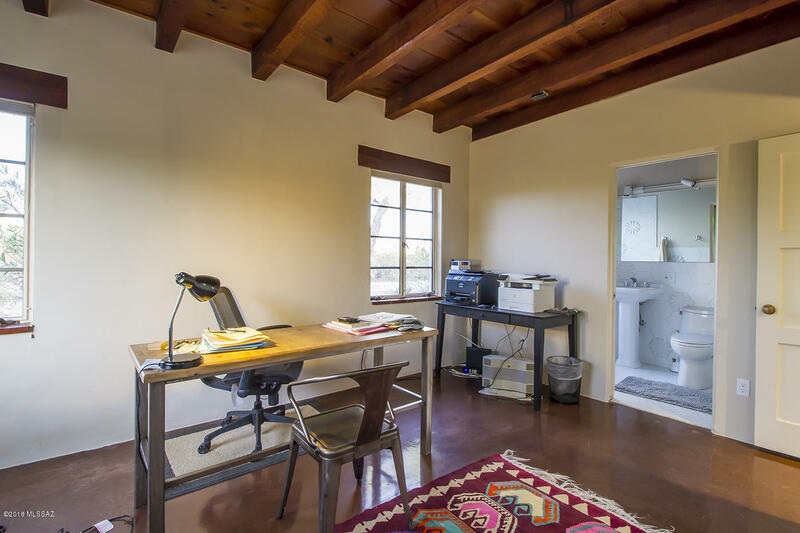 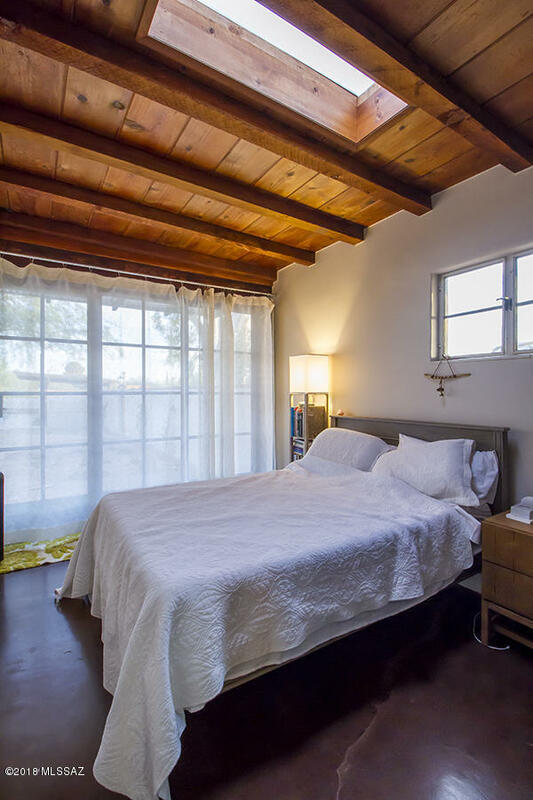 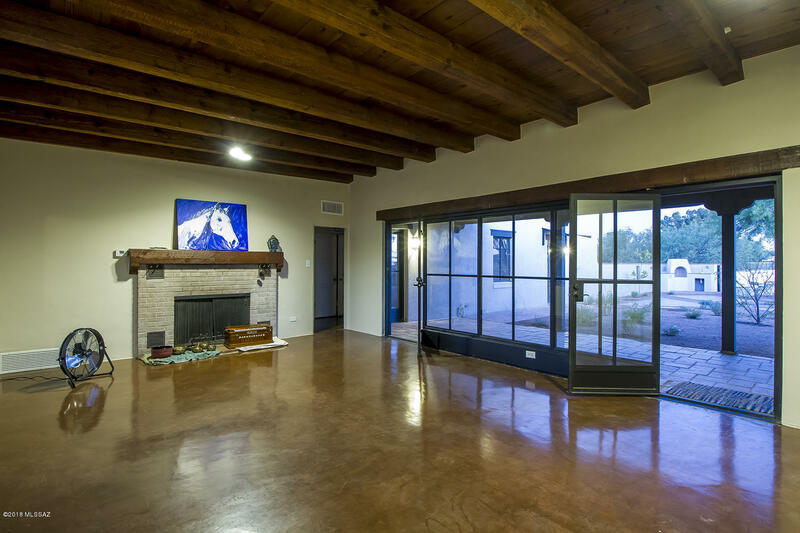 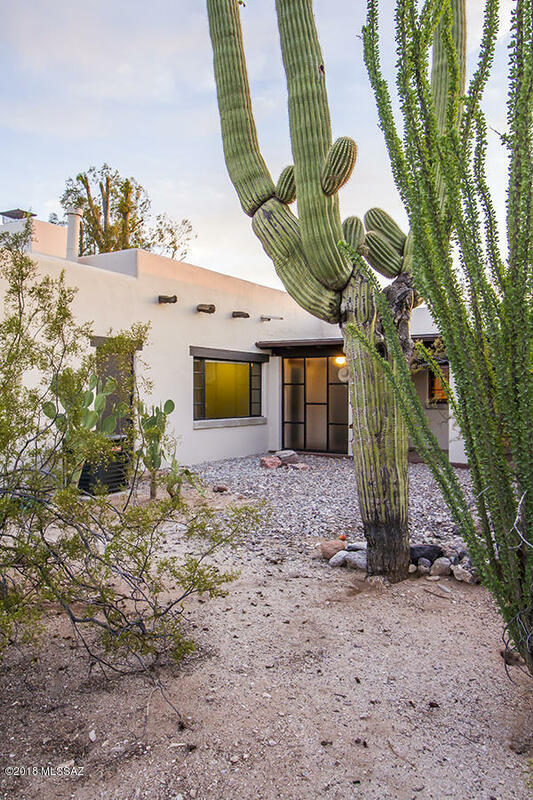 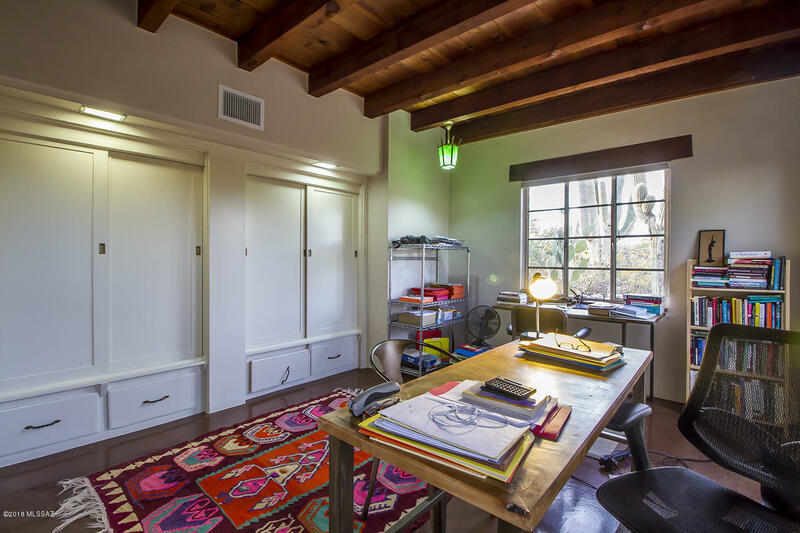 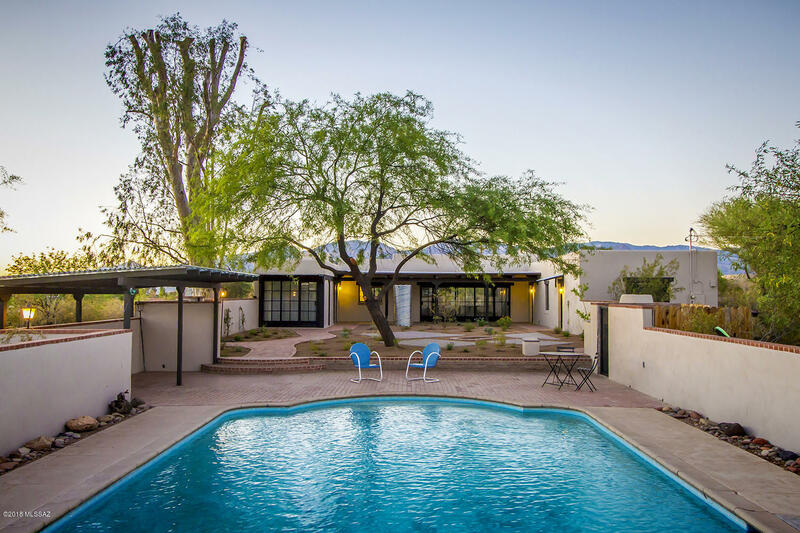 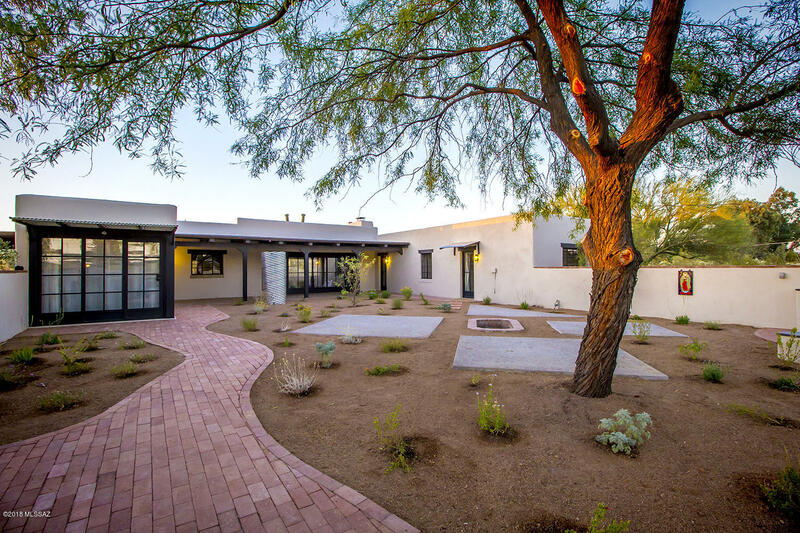 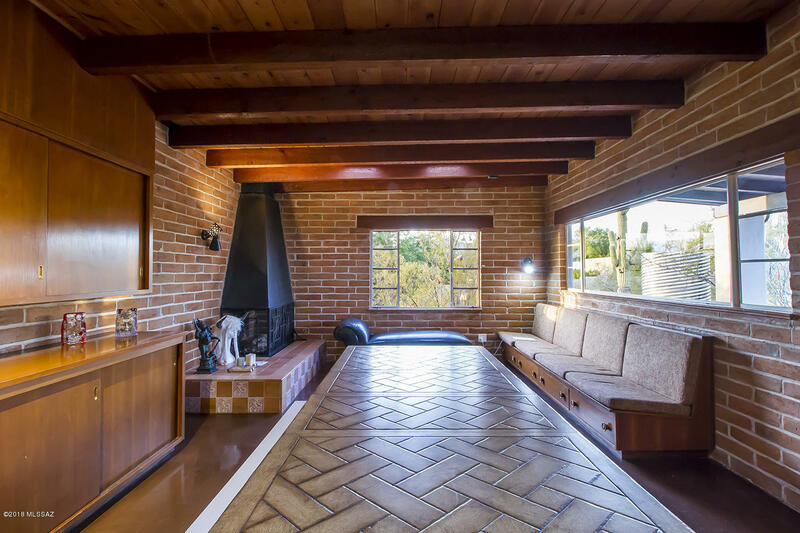 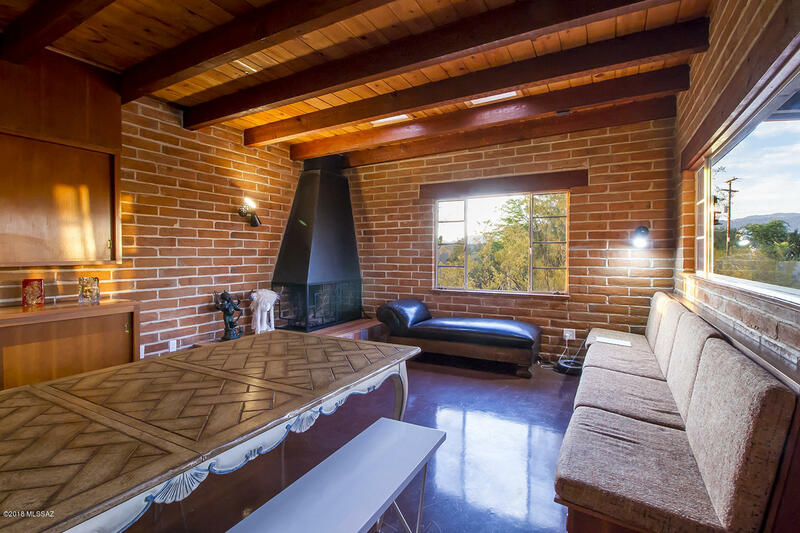 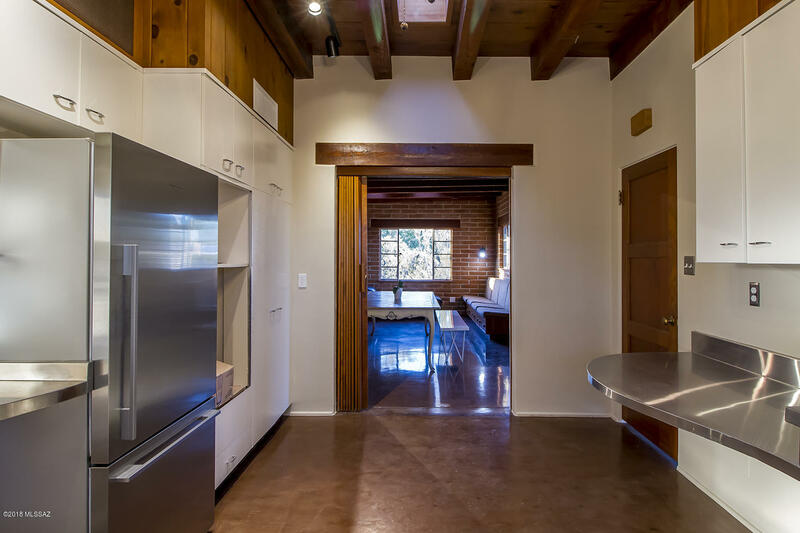 This is the style of Classic Tucson with high beamed ceilings, polished concrete floors, fireplaces, refurbished bathrooms and kitchen. 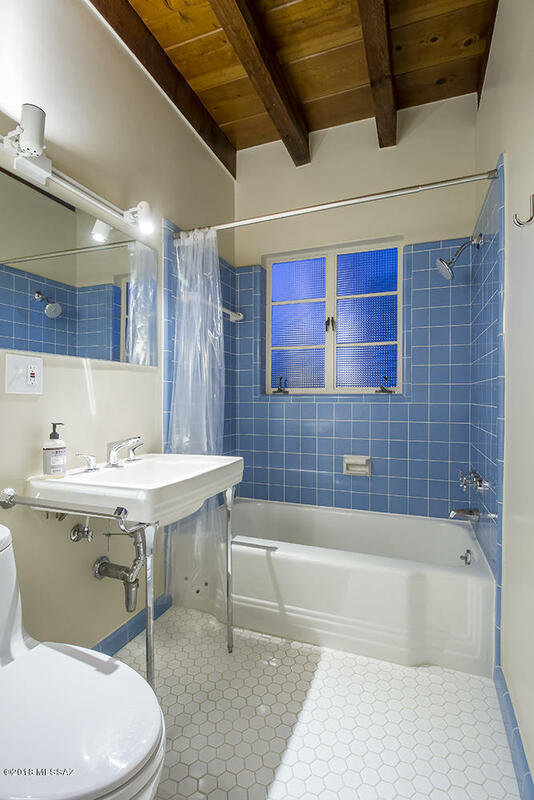 It is elegant and timeless. 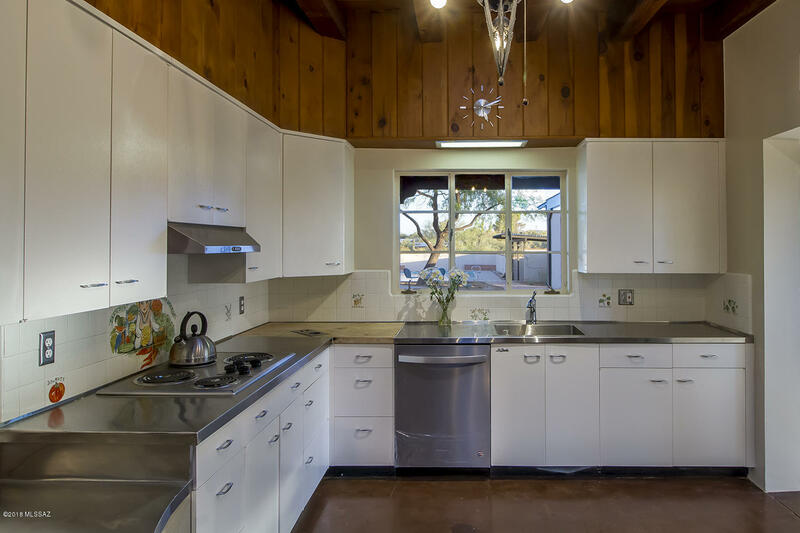 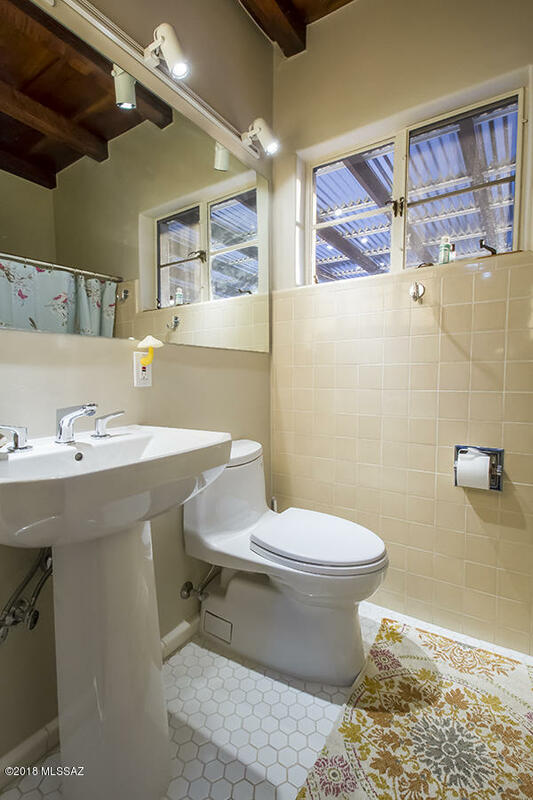 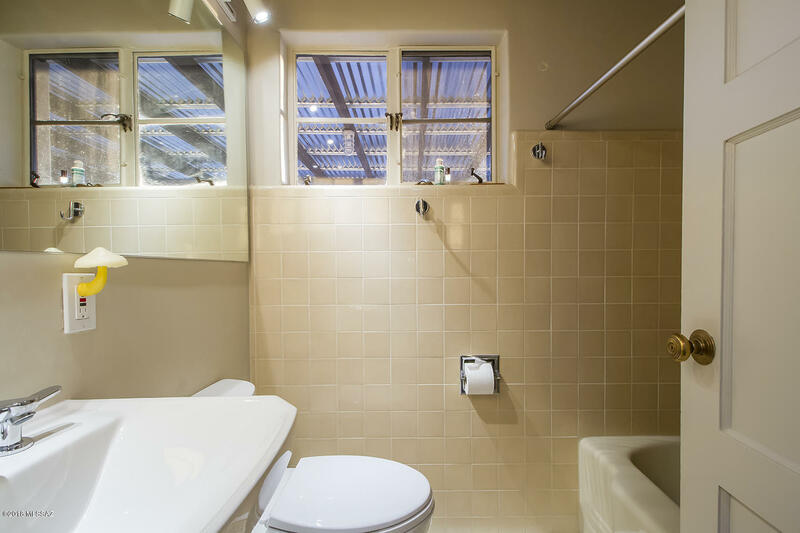 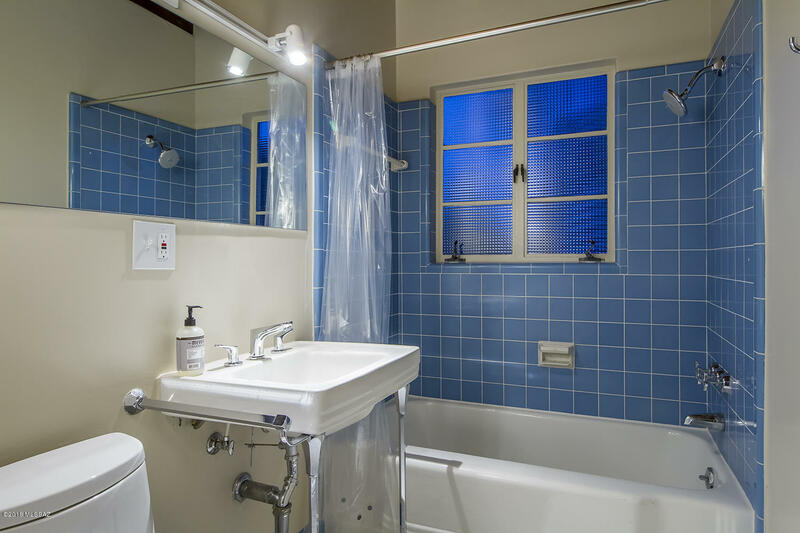 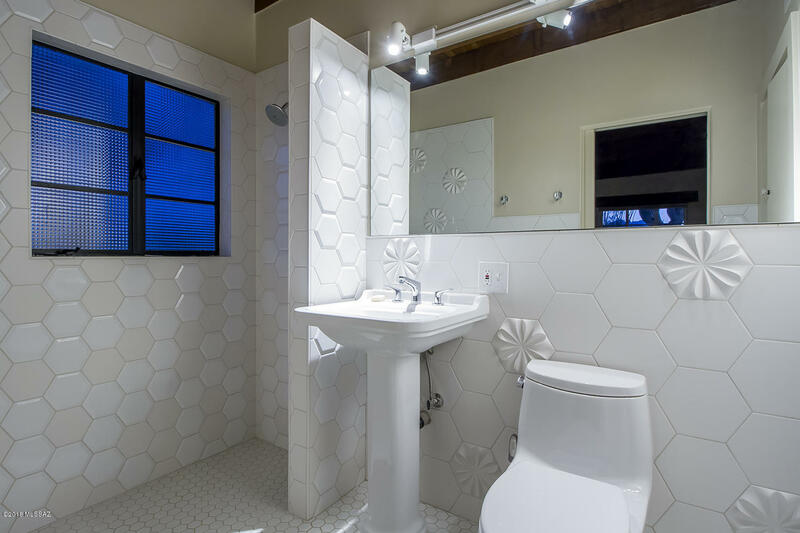 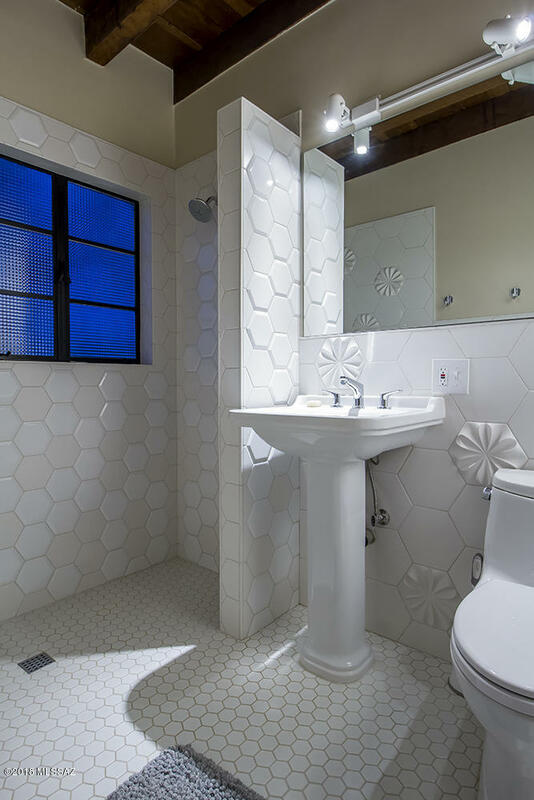 This Rare Gem has had an extensive renovation from the inside and out. 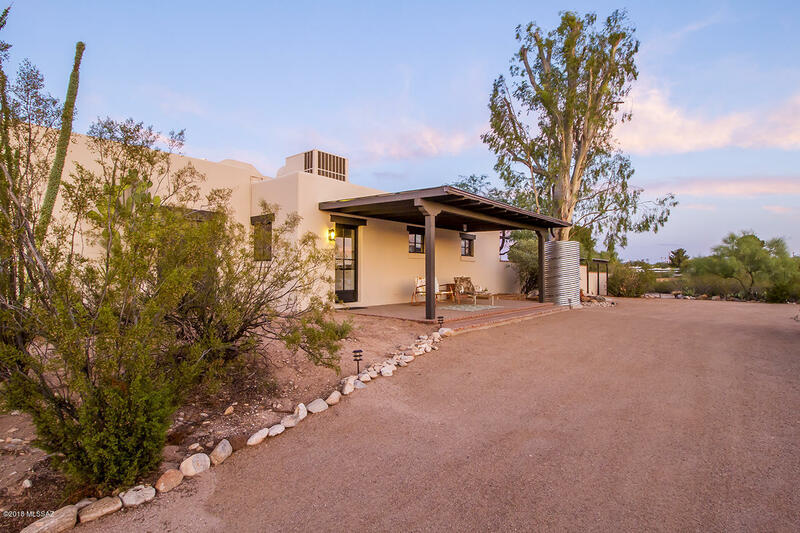 Acreage can be split.